1st Mynydd Isa Scout group recently had a surprise guest for the evening. The Friday night meeting started like any normal meeting would, the Scouts were excited at another fun packed evening, and the leaders were discussing what was needed to help with the smooth running of the evening, but, there was one new face amongst the leaders that a few of the Scouts noticed. Flag break happened as it does at the start of all meetings, this is when things changed. The new guest disappeared for a few minutes before reappearing as a Roman foot soldier! The scouts couldn’t contain their excitement and were marched outside where the Centurion took them through the Roman history of Britain, discussing all its Kings, Queens and Generals. A number of the scouts volunteered to take part and were dressed in full Roman soldier outfits. 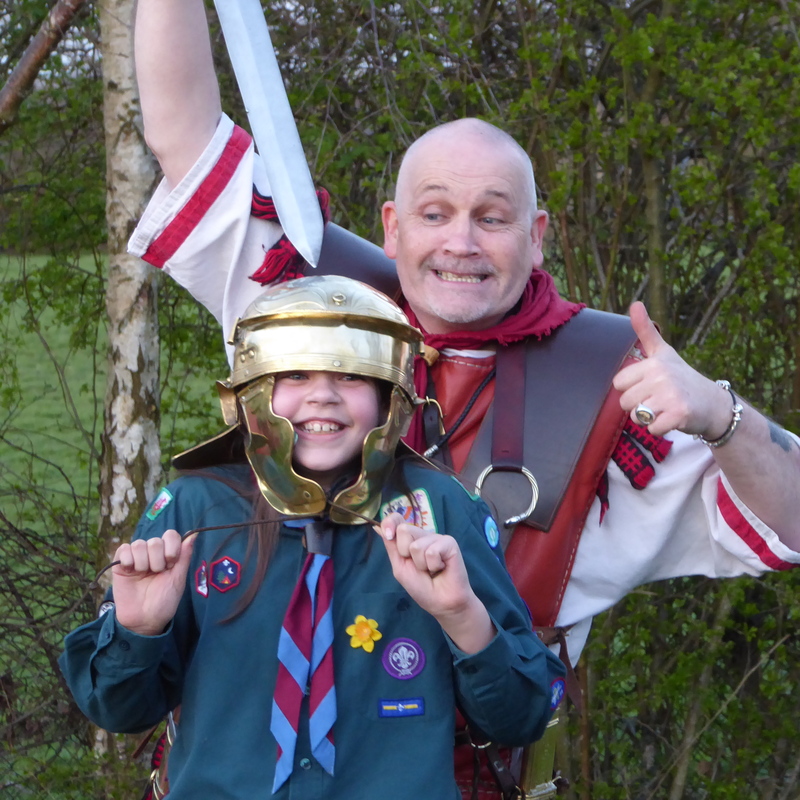 One of the scouts, Grace Shore who is 11 got to try out some of the heavy headwear that the Romans would have used. The scouts were given a description of a typical soldiers day and the instructions they were given, Grace commented ‘We learnt words in Latin which is something I didn’t know before. It gave me a better understanding about how the Romans lived and how different it is to my life. It has made me appreciate everything I have’. 1st Mynydd Isa Scouts, like all other Scouting groups, make sure they promote positivity with their members, with one scout stating ‘It’s nice being a girl at scouts as you can meet lots of new friends from different schools. All of my friends in school thought Scouts was for boys, I have proved them all wrong’. Scout leader Michael Bailey and assistant Scout Leaders Andy and Paula Blundell are currently working closely with ‘Park in the past’ which is a Roman based heritage and conservation project in Caergwrle to discuss how the Scouts can help and learn more.